Kingdom Hearts III opens at 610,077 retail sales. Kingdom Hearts III sold 610,077 retail copies on PlayStation 4 during its opening week of sales in Japan, the latest Media Create sales figures reveal. The Xbox One version was only released digitally. 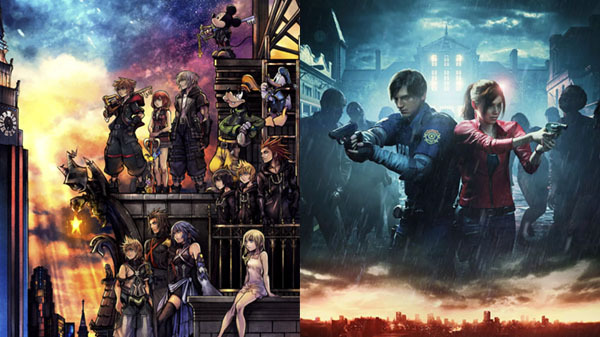 Going head-to-head with Kingdom Hearts III last week was Capcom’s Resident Evil 2 remake, which followed at 252,848 retail sales on PlayStation 4. The Xbox One version was also only released digitally. On the hardware side, the release of Kingdom Hearts III and Resident Evil 2 pushed PlayStation 4 family sales to 52,644 units, while Switch sold 52,429 units and the 3DS family sold 4,932 units.